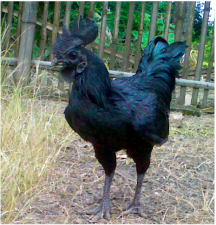 Here is a list of most beautiful, exotic, and rare chickens in the world with detailed information, pictures, and video's. Watch our Featured Video: Top 10 Most Strange Chicken Breeds. We feature a new breed of chicken every week. 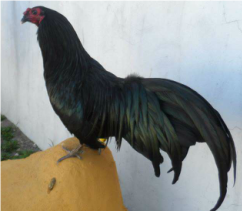 The beautiful ornate Ayam Cemani is a total black chicken inside and out! So far the Brahma chicken is the largest known chicken breed in the world. See Brahma Chickens. See More Breeds of Chickens!